Kinetica, provider of the fastest, in-memory database accelerated by GPUs, has announced the availability of in-database analytics via user-defined functions (UDFs). This industry-first capability makes the parallel processing power of the GPU accessible to custom analytics functions deployed within Kinetica. This opens the opportunity for machine learning/artificial intelligence libraries such as TensorFlow, BIDMach, Caffe, and Torch to run in-database alongside, and converged with, BI workloads. Kinetica also introduced its extensible and flexible ‘Reveal’ visualization framework for interactive, real-time data exploration. Kinetica’s advanced in-database analytics make it possible for organizations to affordably converge Artificial Intelligence, Business Intelligence, Machine Learning, natural language processing, and other data analytics into one powerful platform. It exposes advanced analytics to business users who understand the data resulting in better business value. By democratizing data science workloads, businesses get more efficient and effective business process outcomes, faster time to market, and net new business value. Execute and manage customizations for machine learning, AI and custom libraries. Leverage third party code (NVIDIA® CUDA® or other) by implementing orchestration hooks deployed via REST APIs to register/unregister. Call the endpoints via the exposed API and provide input table/output table. Use a true compute-to-grid fashion leveraging memory and GPUs without the need to move data. The output is stored in a Kinetica table for further analysis or analytics. Integrate user defined processes with a high speed IPC layer of every internal Kinetica data container. Use in native API bindings in C/C++ and Java, with Python support upcoming. Use arbitrary binaries to receive table data, do arbitrary computations, and save output to a global table in a distributed manner. Additionally, Kinetica now includes “Reveal” for interactive real-time data discovery. With Kinetica Reveal data exploration framework, business analysts can make faster decisions by visualizing and interacting with billions of data elements instantly. Users do not need to know SQL; they can simply drag and drop data tables to slice and dice data and start creating on-the-fly data analytics. Reveal has over a dozen analytical widgets to choose from for creating interactive real-time dashboards with just a few mouse clicks. Kinetica Reveal also features enhanced mapping capability and integrates with major mapping providers, including Google, ESRI, Mapbox, and Bing, to conduct interactive location-based analytics on massive datasets. Reveal also boasts enhanced security with fine-grained multilevel access control for permission-based widgets, views, and dashboards. 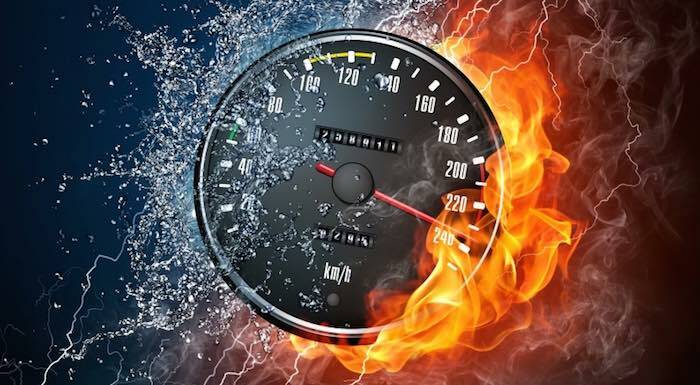 Users of the database can now take advantage of Kinetica’s VRAM Boost Mode which allows users to prioritize their datatables and can force datasets to always sit in very fast cluster wide GPU Video RAM (VRAM) for lightning fast query performance. This gives customers even better performance, while also still being able to leverage cluster wide system RAM to both scale up and scale out to multi-terabyte in-memory processing. Kinetica works closely with numerous leading technology partners, such as Cisco, Dell, HP, IBM, and NVIDIA to ensure customers can easily utilize Kinetica’s GPU acceleration. “Customers can produce innovative data analytics solutions with Kinetica’s UDF capability, which benefits from NVIDIA CUDA and NVIDIA Tesla GPUs in the cloud, in addition to the accelerated capabilities of NVIDIA DGX–1 to shorten the path to becoming an AI enterprise,” said Jim McHugh, general manager and vice president of NVIDIA DGX and Analytics, at NVIDIA.